The easiest way to travel to our Villa is by air. 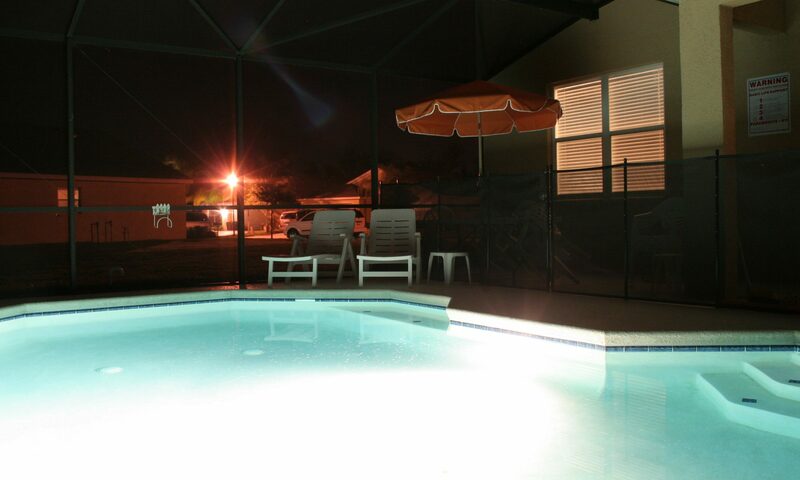 The closest airport to our Villa is Orlando International (MCO) but Orlando Sanford (SFB) is also nearby. Other airports you can fly into are Tampa, Jacksonville and Miami but it takes some driving before you will arrive but excellent airports when you travel around before you stay with us. We mentioned some airlines that fly into Orlando and some sites where you are able to book your airline tickets and more. Aer Lingus is the national airline of Ireland. Aer Lingus operates a fleet of 47 modern Airbus aircraft and carries over 10.6 million passengers per annum on mainline and Regional franchise services. The airline's primary mission is to connect Ireland with the world and the world to Ireland by offering its customers the best product in the Irish airline market to customers at a competitive price. Aer Lingus is committed to serving airports located at convenient, central locations which enhance connectivity for customers. Aer Lingus further enhances connectivity options to the USA, Canada and the UK, through its airline partners; Stobart Air (operating Aer Lingus Regional), Jetblue Airways and United Airlines. It is now easier than ever to connect to continental US destinations with the UK, Europe and Ireland via JFK New York, Boston or Chicago. Founded in 1934, we operate more than 600 flights daily with hubs at the Mexico City International Airport (Terminal 2) and at the Monterrey International Airport. Our route network spans 86 destinations on four continents, including 45 destinations in Mexico, 16 in the United States, 16 in Latin America, four in Europe, three in Canada, and two in Asia. Aeromexico and Aeromexico Connect are part of Grupo Aeromexico, S.A.B. de C.V., a holding company whose subsidiaries provide commercial aviation services in Mexico and the promotion of passenger loyalty programs.Grupo Aeromexico's fleet of more than 120 aircraft is comprised of the Boeing 787 (Dreamliner), 777 and 737 jet airliners and next-generation Embraer 145, 170, 175 and 190 models. We are executing the largest investment strategy in aviation history in Mexico: to purchase up to 90 Boeing 737 MAX airliners and up to 19 787 Dreamliners. As a founding member of the SkyTeam airline alliance, SkyTeam offers customers more than 1,000 destinations in 178 countries served by the 20 SkyTeam airline partners, rewarding passengers with benefits including access to 516 premium airport lounges around the world. Aeromexico also offers travel options through its codeshare partners Delta Air Lines, Alaska Airlines, Avianca, LAN, TACA and TAM with extensive connectivity in countries like Brazil, Canada, Chile, Colombia, Peru and the United States. American Airlines Group is the holding company for American Airlines. Together with regional partners operating as American Eagle, American offers an average of nearly 6,700 flights per day to nearly 350 destinations in more than 50 countries. American is a founding member of the oneworld® alliance, whose members and members-elect serve nearly 1,000 destinations with 14,250 daily flights to 150 countries. The oneworld® alliance is made up of the world’s leading airlines committed to providing the highest level of service and convenience to frequent international travelers. oneworld® is the leading alliance in the United States. With the recent additions, one world®: • Serves almost a thousand airports in 150 countries, with 14,250 daily departures • Carries more than 500 million passengers a year on a combined fleet of some 3,300 aircraft • Offers more than 600 airport lounges, including many frequently rated the world’s best. KLM Royal Dutch Airlines was founded on 7 October, 1919 to serve the Netherlands and its colonies. KLM is today the oldest airline still operating under its original name. KLM has been part of the AIR FRANCE KLM group since the merger in 2004. With a small homebase from which to work, KLM has maintained an international orientation from the beginning. KLM's strength lies in the tightly-knit, worldwide network it has built up with its partners. This network links just about every important economic region in the world with the Netherlands and with each other. Passengers are able to transfer quickly and easily at Schiphol, KLM's home base. We have been the fastest growing airline in Brazil since we commenced operations in December 2008 and currently have the largest airline network in the country in terms of cities served, with service to more than 100 destinations. We have recently expanded our operations with selected non stop service to the United States. At Azul we do everything we can to make you feel special. The Azul Experience is a result of the hard work and dedication of our crewmembers, wich are constantly thinking about your needs. British Airways can trace its origins back to the birth of civil aviation, the pioneering days following World War I. In the 90 years that have passed since the world's first schedule air service on 25 August 1919, air travel has changed beyond all recognition. Each decade saw new developments and challenges, which shaped the path for the future. We are a member of oneworld® along with airberlin, American Airlines, Cathay Pacific, Finnair, Iberia, Japan Airlines, LAN Airlines, Malaysia Airlines, Qantas, Qatar Airways, Royal Jordanian, S7 Airlines, SriLankan Airlines and TAM Airlines. With our partners in the oneworld alliance, we offer a global network of hundreds of destinations, seamless customer service, and shared benefits for frequent flyers. Copa Airlines was founded in 1947 as the national airline of Panama. It began operations with domestic flights to three cities in Panama on Douglas DC-3/C47 planes. By 1966, the airline boasted three weekly flights to San Jose, Costa Rica, which was its first international destination. In 1969, the first AVRO 748 was introduced for flights to Kingston in Jamaica, Managua in Nicaragua and Barranquilla in Colombia. In the 1970s, Medellin, Cartagena, San Salvador and Guatemala became part of the expanding network of destination cities. Copa Airlines and its strategic partners work together to offer the highest quality service, convenience, and integration for your travel experience each time you fly with us. Our code-share alliances allow us to offer you consistent service, regardless of your final destination. What started as a humble, little aerial crop dusting operation called Huff Daland Dusters in 1924 has now grown into one of the world’s largest global airlines, helping more than 160 million travelers get to the places they want to go to each year. The business world has no borders. Delta and our airline partners offer streamlined, integrated contracts, providing your company with access to carriers across the globe. With the simplicity of a single negotiation and the ease of working with one primary contact, you’ll have a whole global network serving your company. The Emirates story started in 1985 when we launched operations with just two aircraft. Today, we fly the world’s biggest fleets of Airbus A380s and Boeing 777s, offering our customers the comforts of the latest and most efficient wide-body aircraft in the skies. We inspire travellers around the world with our growing network of worldwide destinations, industry leading inflight entertainment, regionally inspired cuisine and world-class service. Read on to find out more. With a fleet of more than 230 aircraft, we currently fly to over 140 destinations in more than 80 countries around the world, and our network is expanding constantly. Over 1,500 Emirates flights depart Dubai each week on their way to destinations on six continents. In recent years, Emirates has made numerous significant announcements regarding the future of its already state-of-the-art fleet. We are committed to delivering ‘Low Fares Done Right’. This is more than a tagline. It’s our driving philosophy. Why are low fares so important? We believe travel should be for everyone. Low fares allow people to travel more often, see new places, connect with family and loved ones and develop business opportunities. We work harder than anyone in the airline industry to help you save money on your flights, but we know that low fares alone aren’t enough. That’s why we make a bigger commitment to our customers-- the ‘Done Right’ promise. With GOL, you can always go farther. That's why it has been the most innovative Brazilian airline in the industry since 2001. This is how GOL became a world reference for democratizing air transportation in Brazil. Recognized for making air travel affordable in Brazil, the GOL brand is synonymous with innovation and modernity, due to several actions initiated to provide simple, safe and efficient service. Every year GOL has more clients flying to one of its 57 domestic and 14 international destinations located in 12 countries. In August 2010, LAN and TAM announced their plan to merge their holdings into a single entity, called "LATAM Airlines Group". Together, TAM and LAN have more than 40 thousand employees, 280 aircraft, and 115 destinations in 23 countries, while also offering cargo services worldwide. Our fleet is composed of modern Boeing and Airbus aircraft, acquired to provide the best onboard experience. These aircraft feature state-of-the-art design and technology, providing you with greater comfort, security, and efficiency during your journey. Nearly a century connecting Spain with the world. Leading airline in Spain connection Europe with Latin America. Founding member of oneworld global alliance of 13 airlines serving more than 890 destinations. World’s 9th-largest and Spain’s top aircraft maintenance supplier. With more than 100 customers around the world. Spain’s leading provider of airport (aircraft, passenger, and freight) handling services, with a staff of 7,000 and a fleet of some 8,000 ground vehicles. Our hub is T4 in Madrid-Barajas, one of Europe’s most modern airports, and with the greatest potential for growth. The predecessor of our current company, Japan Airlines Co., Ltd. was founded on August 1, 1951 with 100 million yen in capital, and began scheduled air transportation on domestic routes independently from October of the following year. Based on the Japan Airlines Act, as of October 1, 1953, the current company was established with 1 billion yen in government funding and 1 billion yen in sales, for a total of 2 billion yen in capital. JetBlue’s rst revenue ight was from New York (JFK) to Fort Lauderdale/Hollywood Airport in 2000. Today, JetBlue is not only New York’s Hometown AirlineTM but the largest carrier in Boston, Los Angeles/Long Beach, Puerto Rico and the Dominican Republic. The airline’s network is concentrated in some of the most high-value geography in the United States, with focus cities in Boston, Fort Lauderdale, Los Angeles/Long Beach, New York, Orlando, and San Juan, Puerto Rico. JetBlue operates approximately 825 daily ights to 87 cities in 17 countries throughout the Americas, with one-third of its route network in the Caribbean and Latin America. Even in Singapores Airlines early days, as the Malayan Airways of the 1940s and 1950s, we were already blazing a trail with our commitment to service excellence - a commitment we continue to this very day. Spirit says:" Our people are our single greatest strength and most enduring longterm competitive advantage. To connect People to what's important in their lives through friendly, reliable, and low-cost air travel. United is focused on being the airline customers want to fly, the airline employees want to work for and the airline shareholders want to invest in. World’s most comprehensive global route network, including world-class international gateways to Asia and Australia, Europe, Latin America, Africa and the Middle East with non-stop or one-stop service from virtually anywhere in the United States. A modern fleet which is the most fuel-efficient among U.S. network carriers (when adjusted for cabin size). Industry-leading loyalty program that provides more opportunities to earn and redeem miles worldwide. Optimal hub locations, including hubs in the four largest cities in the United States Approximately 84,000 employees reside in every U.S. state and in countries around the world. WestJet was founded in 1996 by Clive Beddoe and a team of like-minded partners, who believed that just because you pay less for your flight, doesn't mean you should get less. What we say in our ads is true: "Owners Care." Sure, it's our aircraft that fly you places, but it's really our people who get you there. In fact, our entire corporate culture has been built around caring for you, our guests, by providing a great guest experience. Swiss International Air Lines (SWISS) is the national airline of Switzerland. It serves 102 destinations in 46 countries all over the world from Zurich and Geneva. With a fleet of 95 aircraft, SWISS transports in the region of 16 million passengers every year.